With pregnant Duchess Meghan prepping for her first royal baby, sister-in-law Kate is stepping up her schedule, joining the Queen on Tuesday at King's College London. In her biography, Kate: An Autobiography, Marcia Moody revealed that Prince William turned around to greet them and: said "just a quiet family wedding then". It's becoming increasingly clear from their body language together that Kate and her grandmother-in-law are friends as well as queen and future queen. The queen and Kate have appeared frequently over the years at royal events together, including last week when Kate joined Queen Elizabeth and other members of the royal family for the Commonwealth Day service at Westminster Abbey. The Queen wore a pink Stewart Parvin cashmere coat, in keeping with her penchant for bright colors, along with a matching hat, pearl necklace and pink sapphire and diamond brooch. The Foundling Museum, which tells the story of the 18th century Foundling Hospital, has been working with artists, writers and musicians to develop learning programs, especially for marginalized and vulnerable young people. Also on Tuesday, the Duchess of Cambridge was announced as Patron of the Foundling Museum ahead of her visit to the organization. "We look forward to working with her as we fulfill our mission to inspire people to make a positive impact on society through the arts". 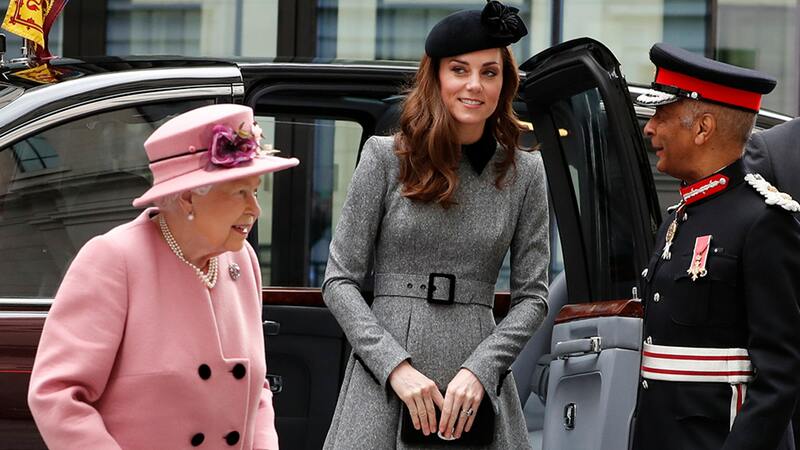 Are you surprised it's taken Kate this long to have her first solo outing with the Queen?